Preemption Issues - Florida Carry, Inc.
"Except as expressly provided by general law, the Legislature hereby declares that it is occupying the whole field of regulation of firearms and ammunition, including the purchase, sale, transfer, taxation, manufacture, ownership, possession, and transportation thereof, to the exclusion of all existing and future county, city, town, or municipal ordinances or regulations relating thereto. Any such existing ordinances are hereby declared null and void." This clearly written statute was signed into law in 1987. It has been law for twenty-four years, and was enacted because prior to its existence, the firearms laws in Florida were determined by each individual county or municipality, creating a patchwork of conflicting regulations. At that time, a firearms owner could unknowingly violate one locality's ordinance and yet be perfectly in compliance in his own home county. 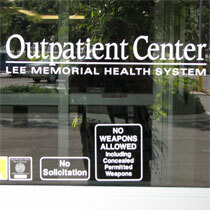 It was a prescription for disaster for law-abiding gun owners and carriers. Realizing the potential pitfalls that could turn a citizen into a criminal, the state legislature took a bold, and at the time, groundbreaking step and declared that they were assuming control of all firearms law statewide. The state legislature would decide the who, where, when, why, and how of firearms and ammunition regulation. This would create uniform law from the panhandle to the keys, and from the gulf to the Atlantic...or so they thought. They missed one critical item. They forgot to put teeth into the statute. A quirky concept exists in Florida law. If a local jurisdiction passes an ordinance, there is no requirement to ensure that it is in accordance with state law, and the state must assume local ordinances are valid until challenged in court. Therefore, the counties and municipalities were free to knowingly create ordinances that were in violation of state statute and that would be virtually unchallenged due to the exorbitant costs in challenging them. In fact, a full two-thirds of Florida's 67 counties and countless cities and municipalities have ordinances, rules, and regulations that are in violation of the state preemption statute. To be fair, some ordinances existed prior to the 1987 statute and were overlooked. However, those are few and far between. Enter HB 45, sponsored by Representative Matt Gaetz. Inspired by the outrage of concealed carry licensees who were told by their home counties, "sue us", the bill is the result of our effort to hold counties and cities accountable to the state. Authored by Marion P. Hammer, the bill not only gives teeth to the preemption statute, it provides fangs! First, it provides that when a firearms ordinance is challenged in court, the prevailing party is entitled to recoup all court costs and attorney's fees. If that isn't enough, it provides for fines and criminal prosecution by the State Attorney General for members of county commissions and municipal entities who willfully violate the state preemption statute. 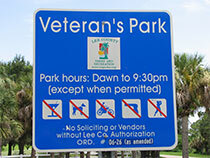 Already, Palm Beach County has rescinded their long-standing and unlawful ban on firearms in county parks. Other jurisdictions are soon to follow suit. When the Commonwealth of Virginia passed a similar statute in 2009, not a single challenge had to be filed as the counties and municipalities immediately capitulated. Florida Carry, Inc. fully supports this bill. If you haven't done so already, please take the time to look up your state representative and send them a letter of support for HB 45. Personal letters are always more effective than either form letters or e-mails but send an email also.